Which is the most effective, using saw palmetto for hair loss with topical or oral products? This review compares five oral products and examines which saw palmetto dosage is most likely to give some benefit to hair regrowth. Saw palmetto is a small palm tree (it grows to just 10 feet high) which grows along the south-east coastline in the USA (and also in the West Indies – Barbados, Jamaica, Trinidad, etc). It's leaves are a distinctive fan shape, but it's the small berries it produces which are of interest. That's because they contain active ingredients which have an inhibitory effect on the hormone dihydrotestosterone (DHT). And that's useful in the treatment of the prostate gland and possibly hair loss (male pattern baldness). Fatty acids - Saw palmetto berries contain nine fatty acids, the greatest concentration of which being oleic, lauric, myristic and palmitic acids. Phytosterols - Phytosterols are basically plant-based steroids which appear to have several health-promoting effects. The concentration of sterols in saw palmetto berries is very small when compared to their fatty acid content. 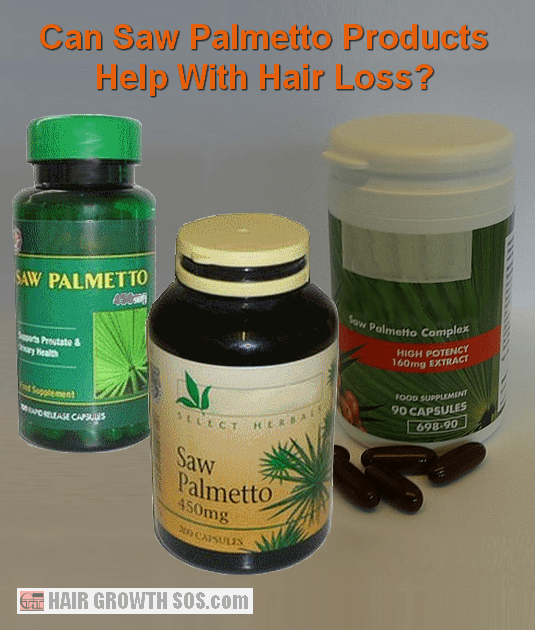 Which Oral Saw Palmetto Hair Loss Products Work Best? To answer that question, you also need to learn the answers to the three important questions listed in the chart below. You can also use the chart to compare five of the most popular (best?) saw palmetto oral-based products. Also, please read the notes about these questions underneath the chart. It's only by doing thorough research like this, that you know you'll be making an informed decision about whether or not to try any saw palmetto supplement. Clearly, whenever you research hair loss products, you have to be thorough. Such dedication can then pay off by uncovering important details which might otherwise be easy to overlook, as you’ll see below. HairGenesis has tested some of the ingredients common to both its oral capsules and topical serum*¹ products in vitro (i.e., in a lab). But, no clinical testing (i.e., on real patients) or testing of the actual products themselves appear to have been done. The ingredients tested were saw palmetto extract and beta-sitosterol, carnitine and thioctic acid. Procerin, on the other hand, has completed clinical trials (on 32 men) using a combination of their oral tablets and topical foam*¹ products. *¹ HairGenesis and Procerin topical products are reviewed on the next page. None of the other companies seem to have conducted any such testing of their products. 2. For both men and women? Many men try saw palmetto products in the belief that they’re safe, natural alternatives to the drug Propecia (finasteride) which is FDA approved to treat hair loss but can unfortunately cause side effects (some of them quite serious). And since finasteride is only approved for use in men, there are plenty of women who use topical and oral saw palmetto products for hair loss as well. However, using saw palmetto might also cause some of the same side effects as finasteride. And these include a potential problem for pregnant women - women are advised not to use (or even handle) finasteride. So, taking saw palmetto for hair loss might not be such a good idea for any woman who wants to have children. Learn more about the risk of side effects from saw palmetto. But, despite this, from the chart you can see that most products do state that their product is suitable for women! Of those that don't, Provillus have a separate product for women that does not contain saw palmetto (Provillus Women’s Formula), and the Procerin website states that their product is specifically for men because it targets DHT. 3. Form and dosage of saw palmetto in these five products? Using saw palmetto for hair loss is said to be most beneficial as a standardized extract rather than simply crushed whole berries. From the chart, you can see that, whilst Procerin and Provillus do not contain saw palmetto extract, they do contain a much higher dosage (of berries) than the extract-based products. So this might mean that they contain a similar amount of the active ingredients as the other products. Advecia seems quite low at only 37.5 mg of saw palmetto per serving (i.e., from four capsules) although the official Advecia website states that this (4:1) extract will be the same strength as 150 mg of saw palmetto. But even if this were the case, the dosage from HairGenesis is still much higher (400 mg). As for Shen Min, this product provides saw palmetto extract within its own proprietary blend, which totals 600 mg per serving (i.e., from two tablets), but this dose includes a combination of other ingredients too (phytosterols, pumpkin seed extract and quercetin). So, exactly how much saw palmetto extract is contained is unknown - when I emailed them about this they said that they don’t disclose the exact amounts. 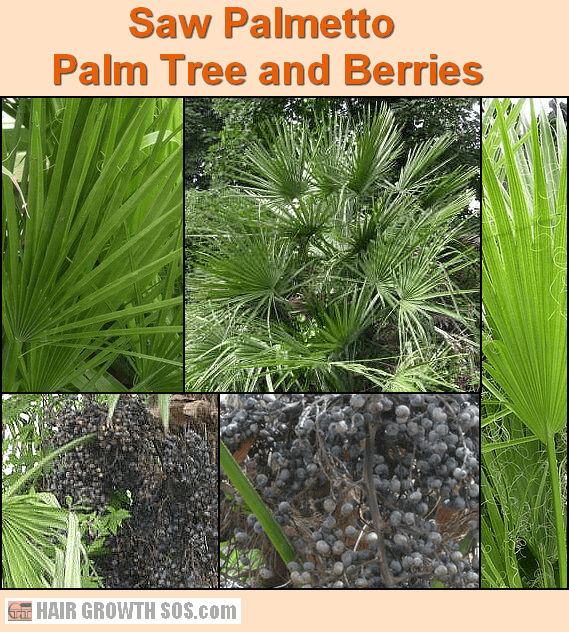 How Much Saw Palmetto Should You Use (If Any)? Many people seem to think that 320 mg of a standardized extract is the optimum daily dosage because that’s what has been proven effective against prostate problems in men. But given how widely the amount of saw palmetto varies in the hair regrowth products reviewed above, this suggests that value is far from certain. The dosage issue aside, from the research I've done it seems that saw palmetto can benefit people with hair loss, but only very slowly and to quite a small extent – e.g., perhaps after six months or more, it might slow down your rate of hair loss or improve the growth of your existing hair. "Hi Paul, I was experiencing some relatively bad hair loss a couple of years ago. Together with altering my diet and taking supplements such as saw palmetto and curcumin, and following the exercises*² in your ebook, I have been able to regain much of the hair that I lost. So I can't be 100% sure that these exercises worked but I have a feeling that they played an important part in getting my scalp and hair healthy again. Many thanks." *² You can learn more about my hair regrowth exercises from the FAQ page. Remember though, whilst taking saw palmetto hair regrowth supplements instead of hair loss drug products might seem like a safe natural alternative, any herb that has a medicinal effect should be treated as medicine. And you don’t want to overdose on something that hasn’t had any long term side effects studied and documented. saw palmetto for hair loss: topical vs oral Products? Of course, saw palmetto hair loss products don't just include oral supplements, many topical products also include this popular herb as an essential ingredient. To compare and contrast topical vs oral saw palmetto products, just read the topical DHT blocker review on the next page. This page 1 of 2. Read next page? Topical DHT blocker products. Notes: For Advecia and Shen Min, the links give further information. Most of these companies have other products as well, but only those containing saw palmetto have been reviewed.